Welcome! In creating this website, I asked myself, "What would people be interested in?". Unfortunately, I couldn't think of anything so it ended up like this! Howdy folks, long time no hear. Sorry I've been missing from my favourite site for a while, but I've been away on my holidays. I spent the whole summer travelling around and enjoying the sun. 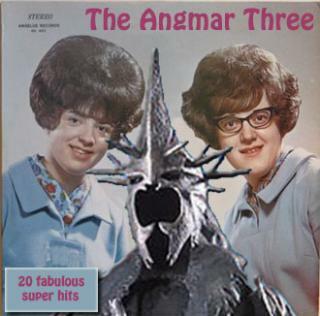 Well I'm pleased to announce that the Witch King has finally completed his first album. You lucky people will not only be the first to hear a sample track from it, but also get the opportunity to design the artwork for the back cover! Ochhhhh! Hi pop fans. I've been thinking for a while how I could make some sort of contribution to this site to give it more of a "high-brow" feel. I've been on the phone to my agent, the Banker and my old chum The Hairy Cornflake and they talked me into submitting a regular (here's hoping) in-depth interview with various high profile characters. Inspired by Mike's blog 'Under the knife', I got to thinking that some celebrities have changed dramatically without any obvious surgery. So I thought it would be a good spin-off, to collect images that demonstrate how unkind the years can be. It seems to me that it's only a matter of time before a celebrity decides to wander into the world of plastic surgery. They seem to assume that even though (in the main) they look perfectly fine, a slight (or not so slight) facial (or otherwise) modification will make their life so much better. For some reason that I don't fully understand, I've always loved the paintings of LS Lowry and examples of his work cover my walls at home. Since I was very young, his works of art have captivated my imagination and inspired me. I have to credit Mikey and Wile E. for giving me the idea of creating the School of political Correctness. The fact is that what was a perfectly acceptable thing to say a short time in the past is now taboo and has been replaced by a completely sterilized version. The English language has hundreds of thousands of words, yet for some people it's still not enough. So what do they do? They make up ridiculous new ones. Since a good proportion of our members are PC techie-types (excluding Bergerac's mysterious cousin of course, who rumour has it uses an Apple) I decided to recant my experiences with some of the PC technologies I have wrestled with over the years. Stamps are great, perfectly formed miniature works of art, that we stick in the top corner of envelopes and somehow they transport our letters across the World. The seaside town with sandy beaches was once famous for its shipyards, coalmines, salt pans and glass-making. The last shipbuilder (Readhead's) closed in 1984 and the last pit (Westoe Colliery) in 1991. Today, the town relies largely on service industries, while many residents commute to work in Newcastle, Gateshead, North Tyneside and Sunderland. Yes, I know what you're thinking; "has Wyle E. gone completely nuts? Why has he posted a photograph of a completely normal individual who is clearly not wearing any form of hairpiece?" Well, that's the reaction of everyone who comes across the famous All-weather Turban (AWT) for the first time. It's been brought to my attention by one of our members that there are celebrities out there with dubious hair. It seems that as they're merrily getting on with their lives, something not quite right is lurking on top of their heads. Every second year for as long as I can remember, I have received a Broons book for Christmas. I always loved reading the everyday antics of the large Scottish family. Indeed one of this sites founding members is part of that family. Why is it called Windows 7 ? Image galleries now have 'Previous' and 'Next' links under each image, to make navigation easier. 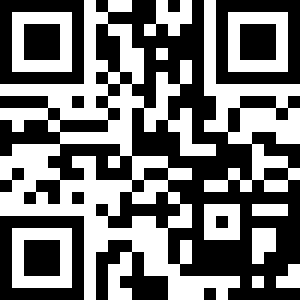 New 2D QR codes added to every page to allow easy bookmarking on mobile devices. Read more about it here. Check out the LS Lowry story here and his gallery here. More of the devil's worke! Dracula is on it's way!